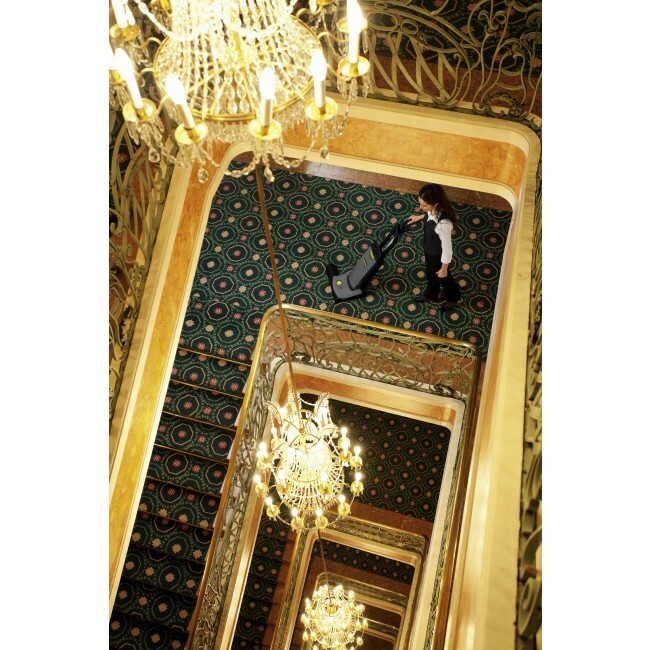 A commercial, twin-engined upright vacuum cleaner with innovative, patented centrifugal clutch, 480 mm working width, stretch hose and telescopic tube to clean, comb and refresh the textile floors/ piles in hotels, boutiques, shops, showrooms, offices, stores, shopping centers and households. 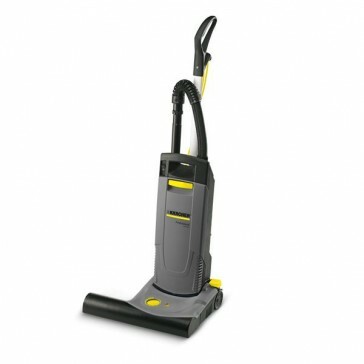 Kärcher’s CV 48/2 upright vacuum cleaner is a lightweight, twin-engined machine with 480 mm working width which combines high suction power with a direct motor driven brush. 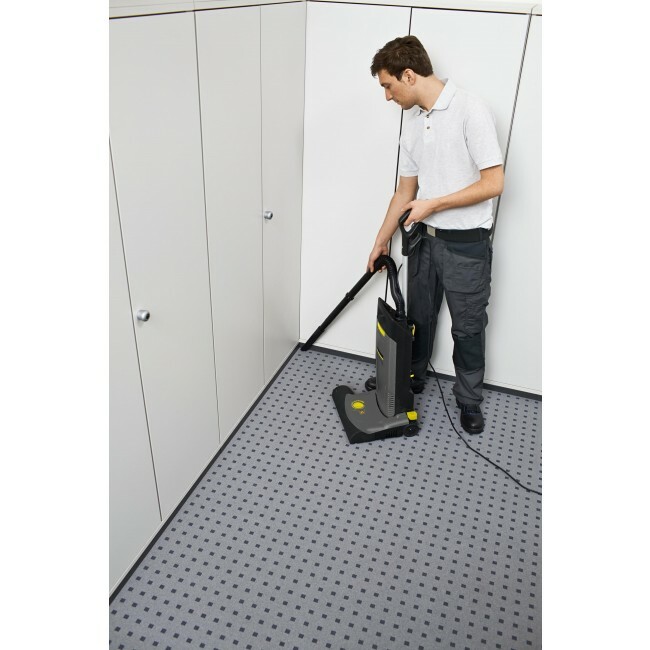 Stubborn dirt particles, threads and hairs are dislodged from the carpet with ease whilst freshening up the carpet pile at the same time. 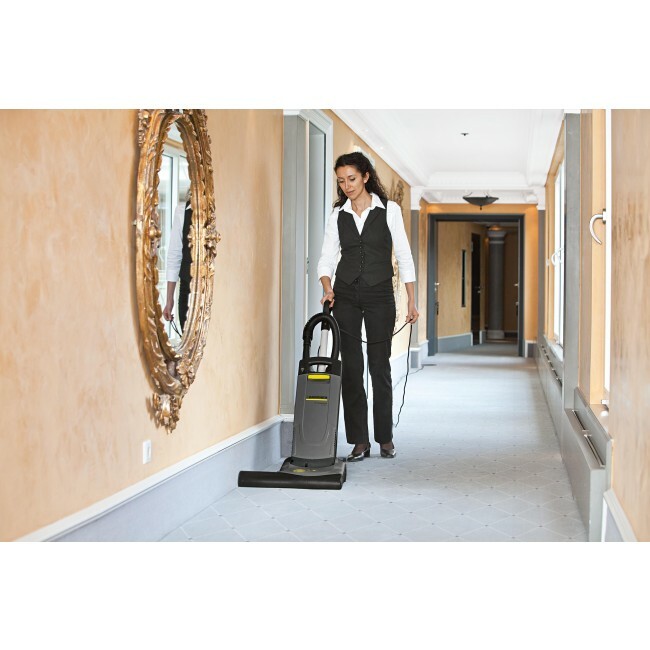 Equipped with a wide, low profile brush head, the 48/2 cleans right up to edges and can operate completely flat for cleaning under furniture and beds. 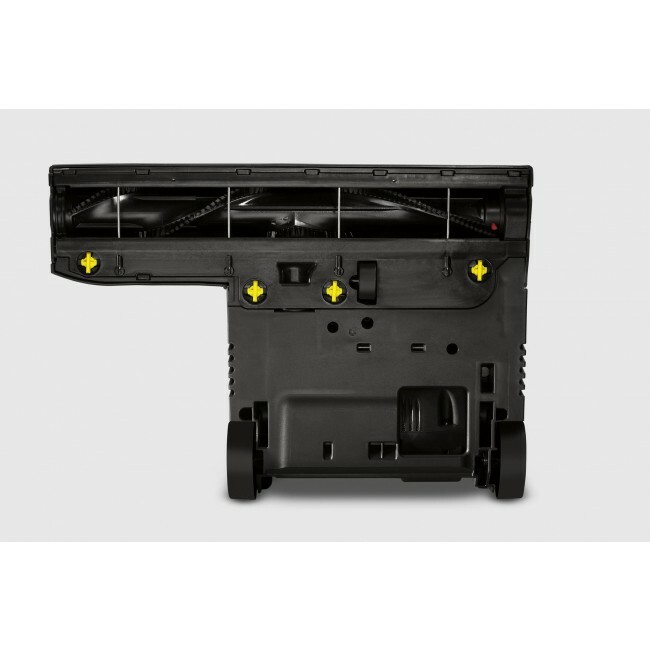 The indicator light shows when the roller brush needs to be adjusted for maximum cleaning results. Yellow Highflex cable is extremely tough, flexible and anti-twist.